Introducing the first ever grime songbook of the first ever grime album to reach No. 1 in the UK charts. 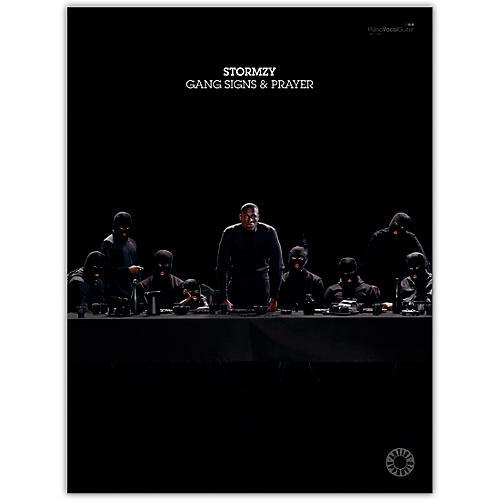 Gang Signs & Prayer is the debut album from three-time MOBO award winner Stormzy. Released in 2017, the album contains elements of gospel and R&B and includes the massive hits "Big for Your Boots," "Shut Up," and the sublime "Blinded by Your Grace." Specially arranged for piano and vocal, with full lyrics and chords, this artist-approved book also contains an 8-page color section as well as separate lyric pages.